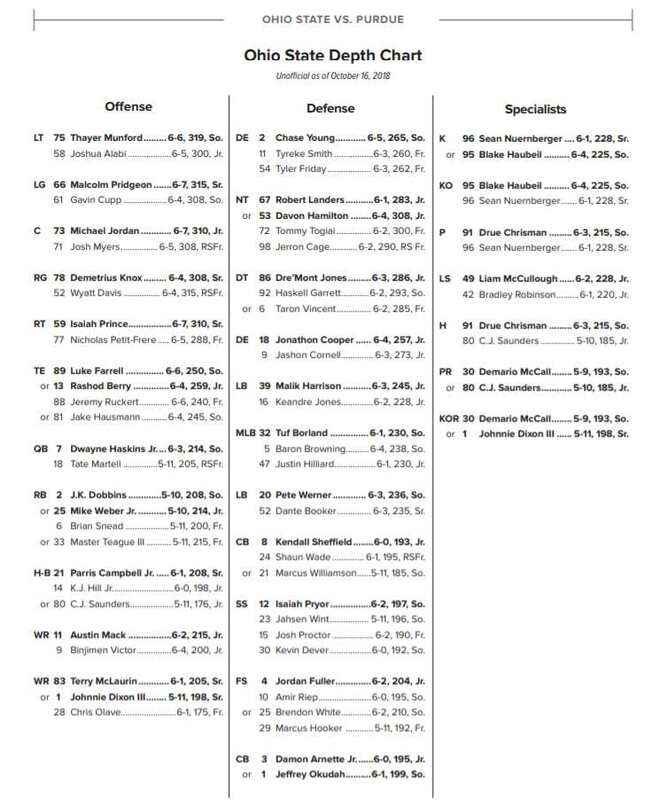 It didn’t take much critical thinking to look at Ohio State’s defense last season and know that changes to the coaching staff would be coming under Ryan Day. Safeties coach Alex Grinch departed for Oklahoma. Defensive coordinator Greg Schiano left for the NFL, as did linebackers coach Bill Davis, and cornerbacks coach Taver Johnson was not retained. The last man standing on defense was defensive line coach Larry Johnson. Johnson was never expected to be let go, but there were some rumors that he could choose to move on. Instead, he stuck with Ohio State, which was very significant for Day. There isn’t much that Johnson hasn’t seen. He’s gone through coaching changes and been on the staff of great head coaches. The entire team respects him and responds to him, which has made him a valuable resource for Ryan Day. Johnson is viewed as one of the best defensive line coaches in the nation by those in the know. Some would even tab him as the best. Of course, that didn’t stop Day from going out and hiring Greg Mattison, whose name would also be found at the top of most of the “best” lists. And Mattison feels the same way about Johnson that Day does. “I have the utmost respect for Larry Johnson,” Mattison said. “Recruiting against him. Whenever you play in a league together, you always get a chance to see the other team’s defensive line. And I would always watch their defensive line and watch his coaching. Keeping Johnson was a necessity for Day and each member of the new defensive staff is excited to working with him. So if the new guys are happy about Johnson sticking around, you can imagine how the rest of the team feels, particularly those guys up front. Johnson teaches the game as well as anybody in the nation, and is also one of the game’s best recruiters. 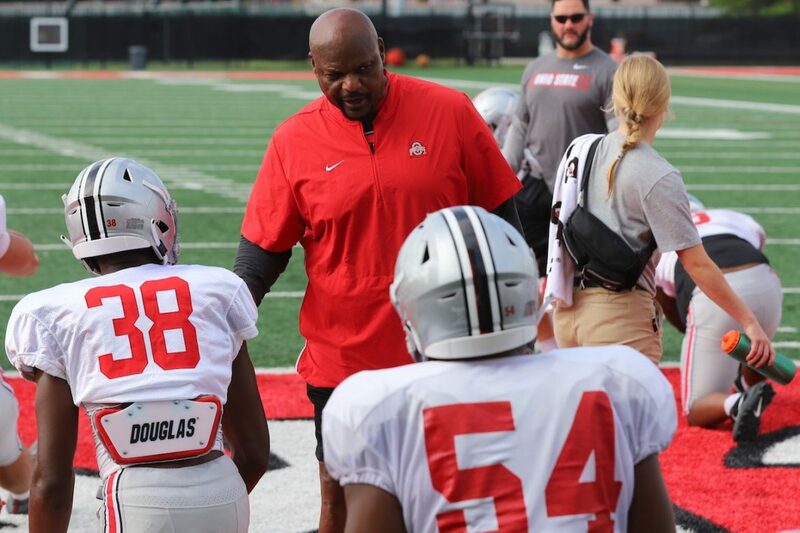 He has built relationships with players that go back well before their first practice as a Buckeye, and will go on well after their last practice as well. You can thank Coach Franklin at penn state for getting LJ – what a moron. Franklin is the worst play caller in the Big Ten. Did you see what he did at the end of the bowl game? Why not tell us why he stayed, or what Day had to do to keep him. This is really a rather worthless article. The single most important coaching “hire” Ryan Day has made. Dude is a bona-fide legend among coaches. I think he’s the best coach on the staff including the head coach. Not to slam Ryan Day but LJ has proven his value to this team. Other new additions may be just as good but as of today, based on what I’ve seen, he’s the best we have. I agree wholeheartedly, but, I would take that a couple steps further. 1. On top of that he is good for the entire Athletics program. Larry Johnson is a class MAN with tremendous character and a prime example for the entire Athletic Department to look at how to be successful on the job and in life. 2. He’s a relentless recruiter who families KNOW they can trust. On the field, in the classroom, and community preparing for life, Larry Johnson is exactly who I would want my kids around, regardless of position, regardless of the sport. Just look at the guys he’s sent to the next level. Every one of them are quality people…and that’s just at Ohio State. He worked his magic at Penn State as well. Anyone wants to be a coach and/or a mentor. Study LJ. S, Andrew Alexander nailed it. He’s a bonafide legend among coaches, and he’s destined for the HOF. LJ is easily the best in America……..regardless of what level. Bring the best DLine coach in from the goofball league and he would sit in the shadow of Larry Johnson. PERIOD.